What Is Considered Child Endangerment in Kansas? Kansas state law defines child endangerment as causing or allowing a child under the age of 18 to be in a situation in which harm or injury to the child could result. In Kansas, child endangerment is known as a “wobbler” offense, meaning that it may be charged as a misdemeanor or a felony at the discretion of the prosecutor and depending on the circumstances of the crime. In addition to jail time and fines, a parent convicted of child endangerment may lose parental rights to the child. Prosecution on a child endangerment charge requires that an adult intentionally allowed or caused a child to be in a situation in which he could be harmed. Actual harm does not need to occur to constitute child endangerment. This includes leaving a child unattended without adequate supervision. In Wichita, a couple was charged with felony aggravated child endangerment after allegations that they had left their seven-month-old infant home alone for at least an hour and a half. Another Wichita mother faces a child endangerment charge stemming from accusations that she left her 1-year-old child in a car unattended with an outside temperature of almost 100 degrees F.
Kansas law classifies reckless behavior that puts a child at risk of harm or endangerment as aggravated child endangerment. In legal terms, "reckless" means behaving without regard for the possibility of adverse consequences. In Kansas City, a man allegedly shot and killed his former girlfriend and her mother, who was holding her 2-year-old grandchild at the time of the shooting. The child was unharmed, but the suspect was charged with felony child endangerment as well as murder. Exposure of a child to the manufacture, distribution, sale or delivery of methamphetamine constitutes aggravated child endangerment in the state of Kansas. The potential for harm to a child living in a meth lab is great, presenting dangers such as inhalation of toxic fumes, fires and explosions. The presence of drug paraphernalia and toxic chemicals used to manufacture the illegal drug in a home where children reside is also considered aggravated child endangerment. After a raid on a residence in Labette County, six adults were charged with aggravated child endangerment when a 2-year-old child was found living in the home, where methamphetamine was thought to be manufactured. Operating a vehicle under the influence of drugs or alcohol with a child under the age of 14 in the vehicle can result in an enhanced sentence of an additional 30 days of jail time. The offender may also be charged separately with child endangerment, depending on the circumstances of the arrest. In Lawrence, a father pleaded guilty to child endangerment after his stepson fell out of the back of the pickup truck that the father was driving while intoxicated. 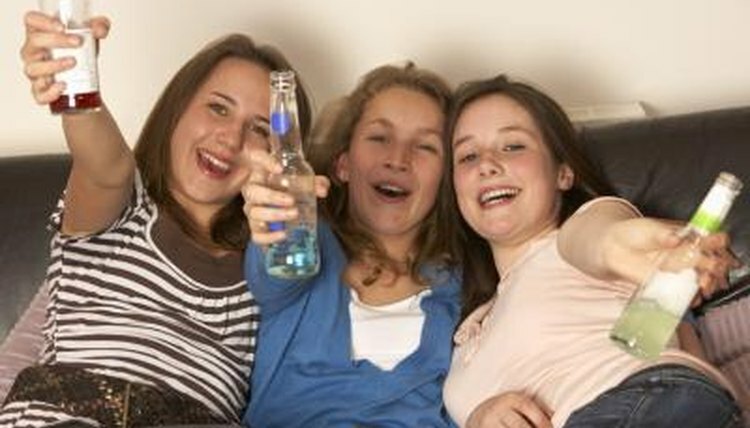 Serving alcohol to minors also constitutes child endangerment in Kansas, as in the case of two women who supplied alcohol to several 14-year-old girls at a sleepover. Both women were charged with multiple counts of misdemeanor child endangerment. Palkoner, Brandi. "What Is Considered Child Endangerment in Kansas?" , https://legalbeagle.com/10045453-considered-child-endangerment-kansas.html. Accessed 21 April 2019.